It may not be the Mahalo+Miles offer we used to see years ago for Hilton stays in Hawaii but bonus miles are good nonetheless with this latest offer from Hilton Hawaii that is today’s highlight. 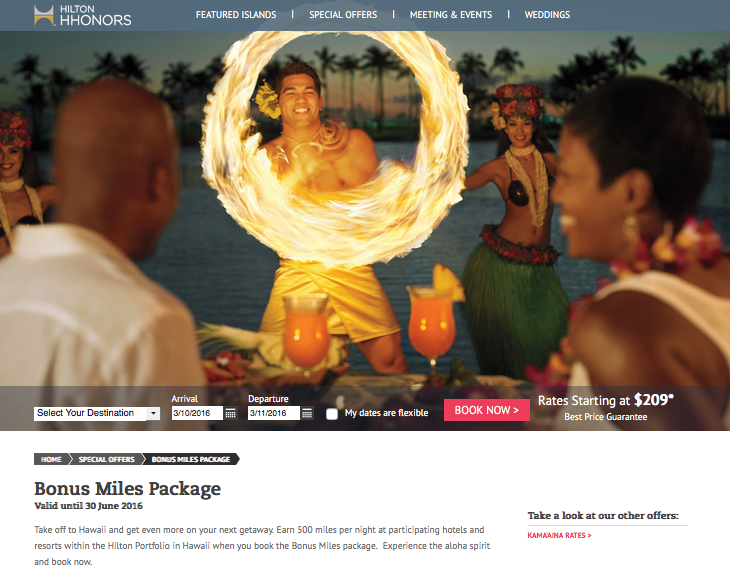 The offer is for 500 bonus miles in any of Hilton HHonors’ airline partners for stays at their locations in Hawaii. Other bonuses you should also check out are Aeroflot’s Park Inn & Radisson Blu bonuses, the British Airways buy Avios bonus and a few new WestJet flight bonuses.